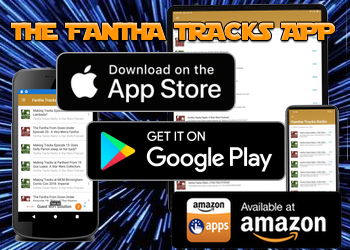 This is my 1000th post on the excellent Fantha Tracks so I wanted this one to be something special. 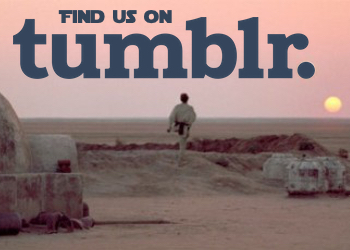 When I first joined the team I expected to be contributing vintage Star Wars related articles every few weeks or so but it’s incredible to see how the team has been so welcoming and inclusive of all things Star Wars. Submitting articles, contributing to podcasts, sharing social media images and having a great time at cons and film locations have been a highlight of the last 9 months and here’s to the future. Now on to the main article. I think that the vintage Star Wars mini-rigs are incredible. They are imaginative, cheap enough for most children to have owned a few at one time or another and above all were approved by George himself. As a former engineer I can appreciate the simplicity and playability of these toys whilst keeping the price down at a time when plastic costs were rising. Kenner designer Mark Boudreaux (who we have to thank for next year’s Jabba Sail Barge) is quoted in the Steve Sansweet book: From Concept to Screen to Collectible, as saying “if you didn’t see any of the mini-rigs in the Star Wars films, that’s because they were always just out of camera range.” The Kenner designers took George’s ideas as inspiration and created a range of vehicles and ships that could have been on set. A designers dream come true. The main series of mini-rigs were numbered 2 – 8. 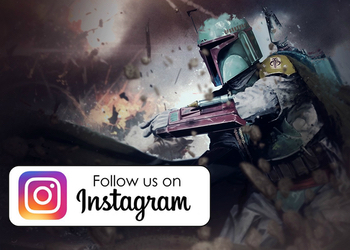 I’m not sure why there is no number 1, it could be following on from Boba Fett’s ship Slave One or just a number sequence used. 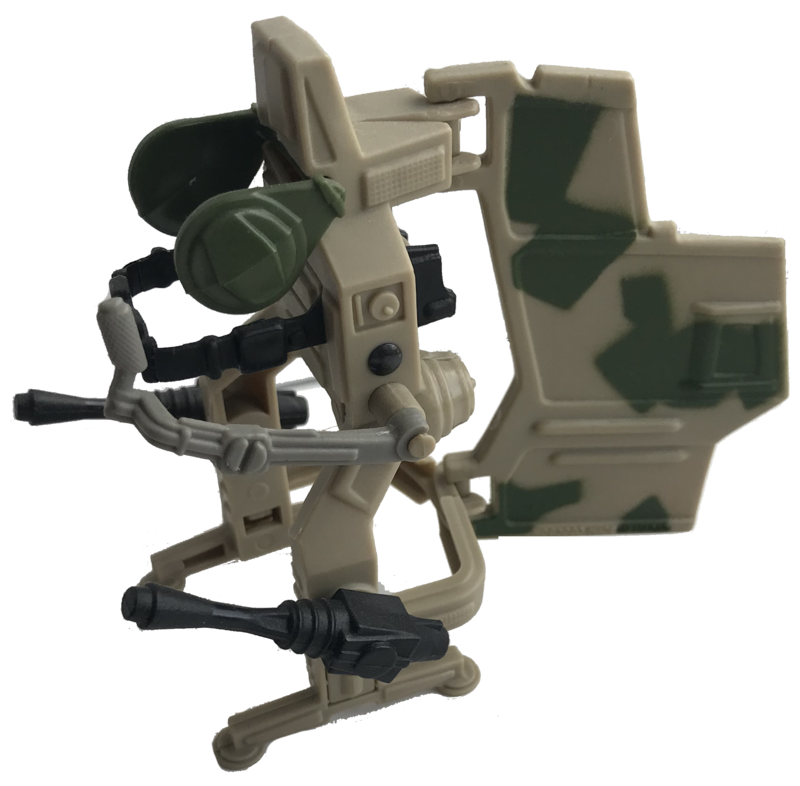 The mini-rigs were not released in number order but were available in many different parts of the world such as USA (Kenner ESB and ROTJ), Kenner Canada, UK (Palitoy) and Europe (Bilogo / Hybrid Palitoy or Trilogo). Some of the mini-rigs were released in Mexico (Lili Ledy). 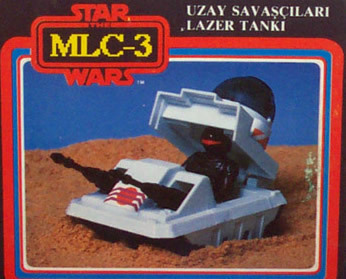 Uzay, based in Turkey, bootlegged many of the Star Wars figures in the later 1980’s and are some of the most desirable and expensive bootlegs available. All of the mini-rigs had a RRP of $4.99, compared to prices of $15 and more for the larger vehicles. 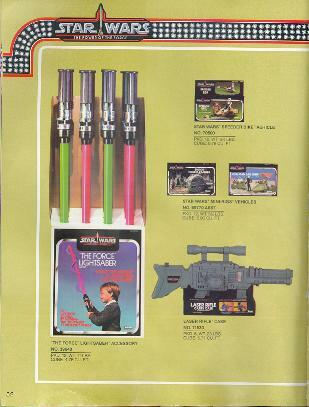 Many stores charged closer to $9 to cash in on the Star Wars craze at the time. 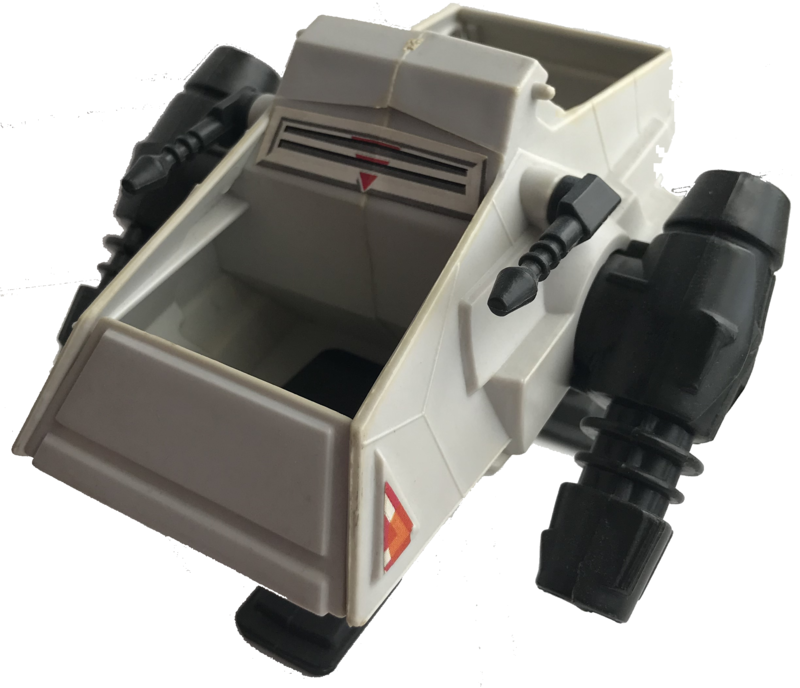 The Cap-2 (Captivator 2) was first released in 1982 for $4.99 and is a fearsome attack vehicle. 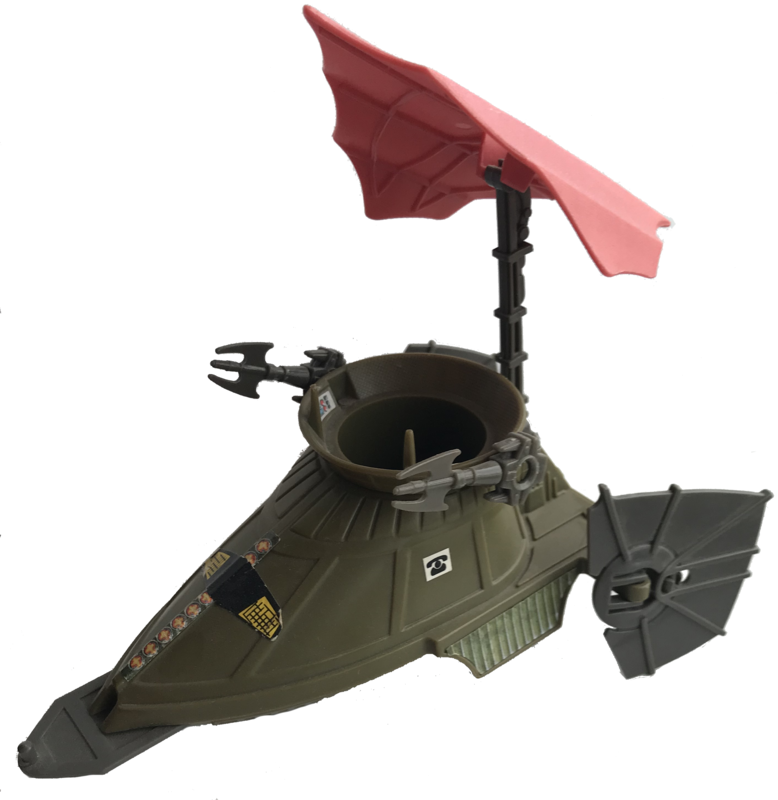 It was promoted as being the personal ship of Bossk which was used to hunt rebels and other enemies of the Empire. The suction cup feature was brilliant and I especially loved the description of “it can even hide under tables.” That’s someone who can understand toys right there. It was very clever of Kenner to tie this in with Bossk as he didn’t exactly do a lot in the movie. As well as the regular releases, it was also released by Kenner as a special offer stickered version featuring a free Bossk action figure and a special offer $1 rebate offer stickered version which allowed buyers to buy another toy at a discount. 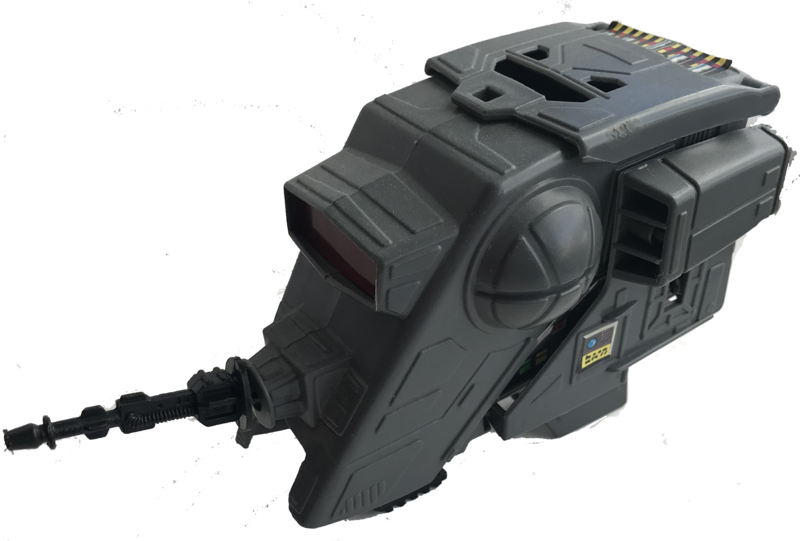 The MLC-3 (Mobile Laser Canon 3) was one of my favourite mini-rigs as a kid. Due to the plexi dome I was convinced that this vehicle could go underwater. 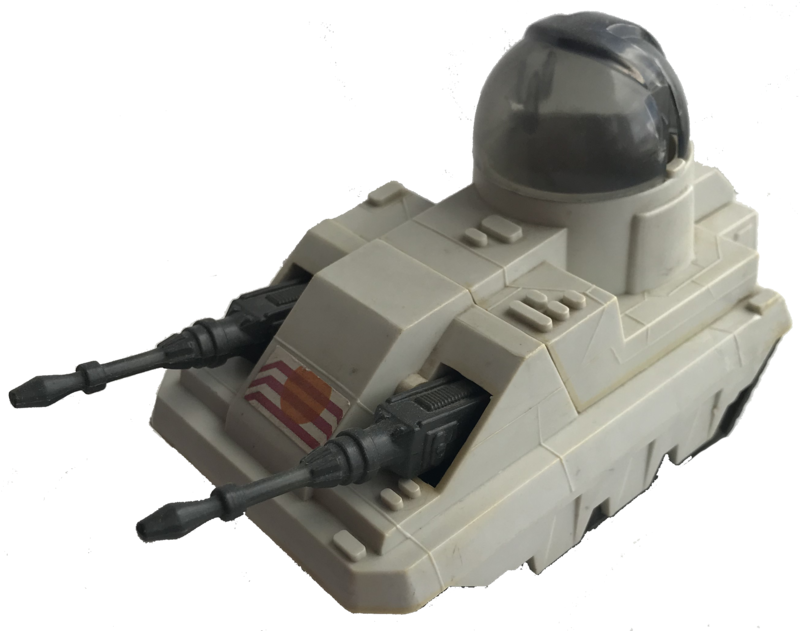 It was promoted as a vehicle to be used by the Rebels on Hoth and I assume that the large dome prevented the operator being pelted by snowballs. 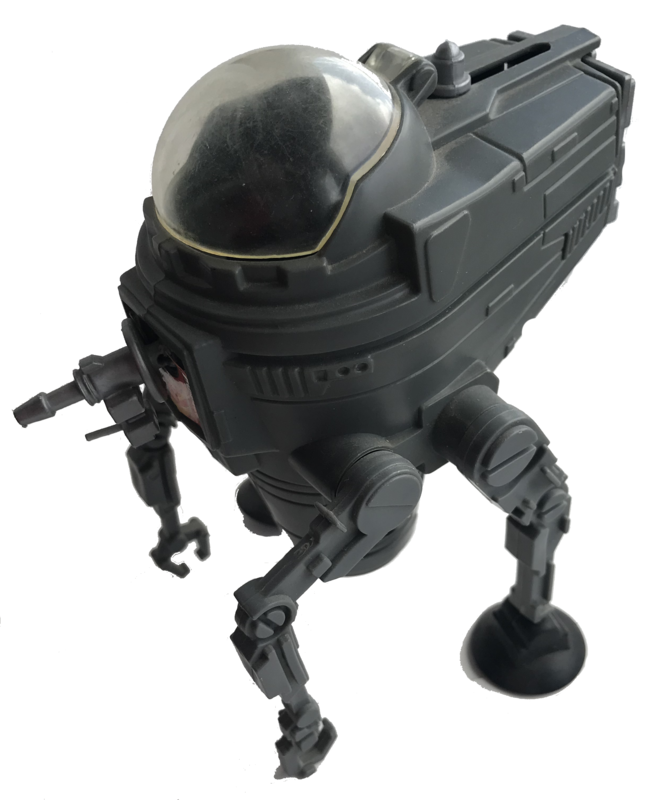 The MLC-3 was one of the first mini-rigs to be released in 1981 and retailed for $4.99. 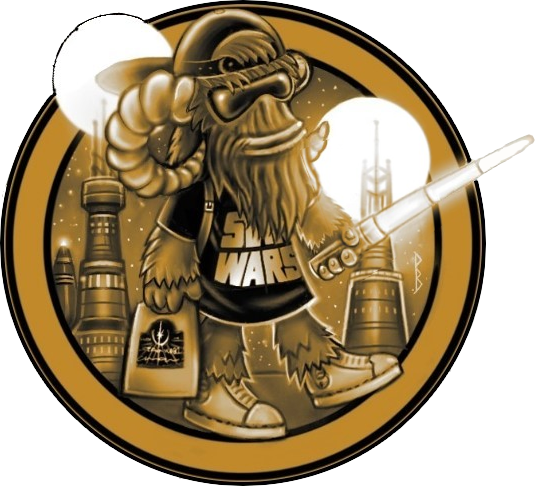 As well as the regular releases, it was also released by Kenner as a special offer stickered version featuring a free Rebel Soldier action figure and a special offer $1 rebate offer stickered version. 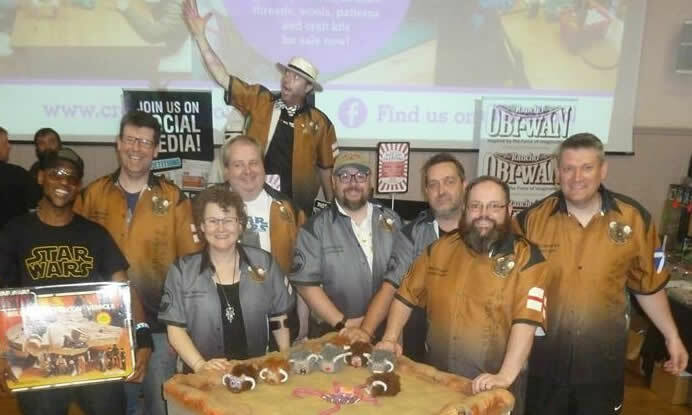 It was one of the mini-rigs to be copied by the Turkish company Uzay and released as Lazer Tanki. 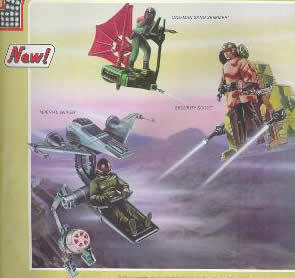 The INT-4 (Interceptor 4) to me was the most “Star Wars-like” of all the mini-rigs. I must admit, I would have preferred it to have been cast in the same colour of the AT-AT but perhaps it would look to similar to the AT-ST head if so. 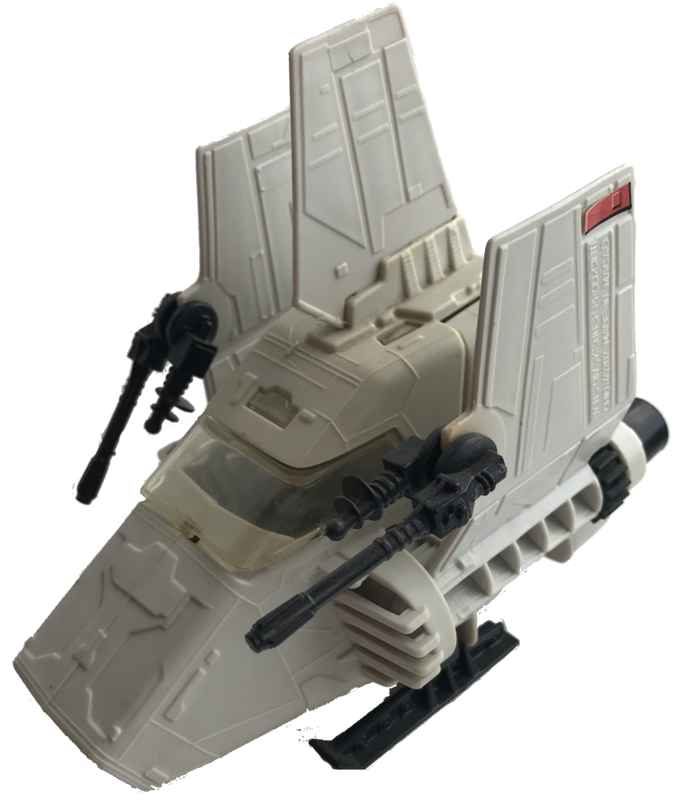 The INT-4 was clearly an Empire vehicle and was promoted upon release in 1982 as being able to fit inside the body of an AT-AT. If the AT-AT was under siege then this ship could be deployed to blast those pesky snowspeeders. It could also have been a solution as to how the Hoth Troopers managed to get into the AT-AT? As well as the regular releases, it was also released by Kenner as a special offer stickered version featuring a free AT-AT Commander action figure and a special offer $1 rebate offer stickered version. The AST-5 (Armored Sentinel Transport 5) for me never really fit in with the Star Wars theme. It was a vehicle designed for Jabba’s henchmen on Tatooine and other than the colour scheme it didn’t work for me. The figure inside could either look straight ahead, if in the upright position, otherwise would be staring at the sky or sand. I’m pretty sure that I decided it to be a prison or holding cell as a kid. Released in 1983 it was one of the latter releases of the original mini-rigs. The AST-5 was too late to appear on ESB packaging although it was one of few to appear on European Tri-logo branding. The ISP-6 (Imperial Shuttle Pod 6) tried to be a Star Wars vehicle but never quite worked for me. It wasn’t as sleek as the Imperial Shuttle from which the design is clearly inspired and reminds me more of a Battlestar Galactica type of snub fighter. 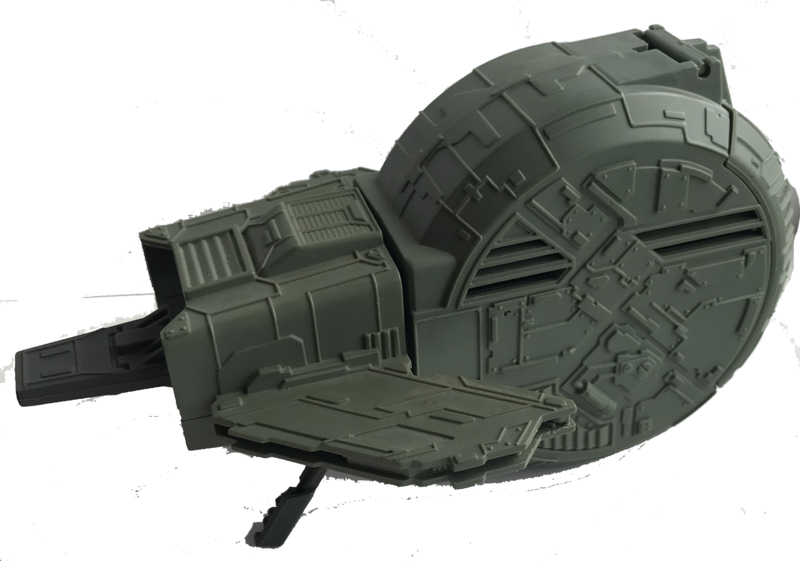 It’s described as being able to shuttle Imperials from a ship to a base and comes with a rear view mirror and cannons. I must confess I’ve just checked my ISP-6 and there is no rear view mirror. There is a piece of plexiglass in the back for you to see through but it’s hardly a mirror. 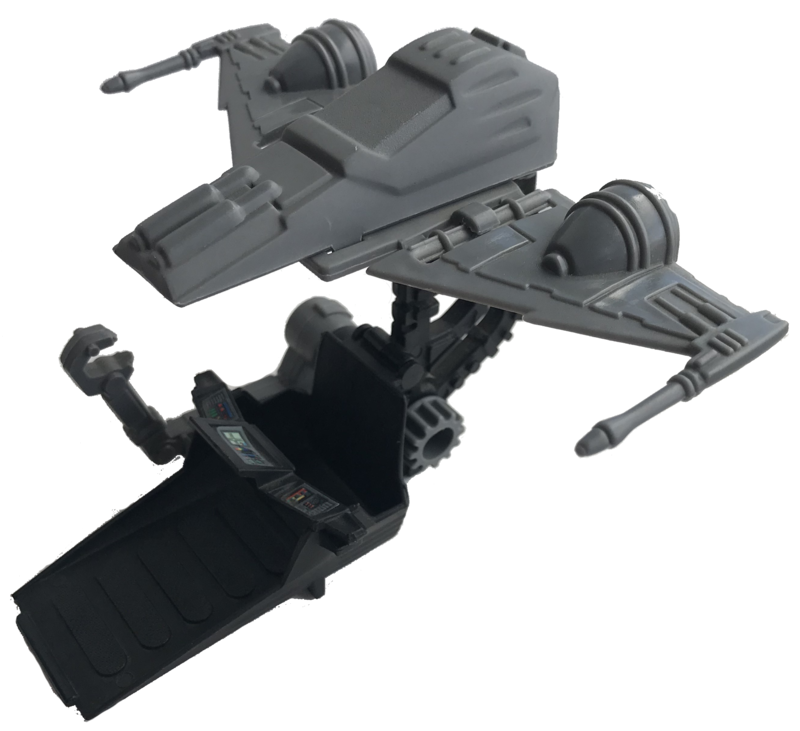 Also, as this is a one person fighter would it really be economical to use this to shuttle Imperials? I can’t see Darth Vader flying this as shown on the box! Perhaps this is a training vehicle for Imperial pilots before they are allowed to fly the larger Imperial Shuttle? The ISP-6 was released late in the line in 1983. It is incredibly difficult to find in European trilogo packaging which is shown here. I want my MTV (Mobile Terrain Vehicle 7) and didn’t we all as kids. 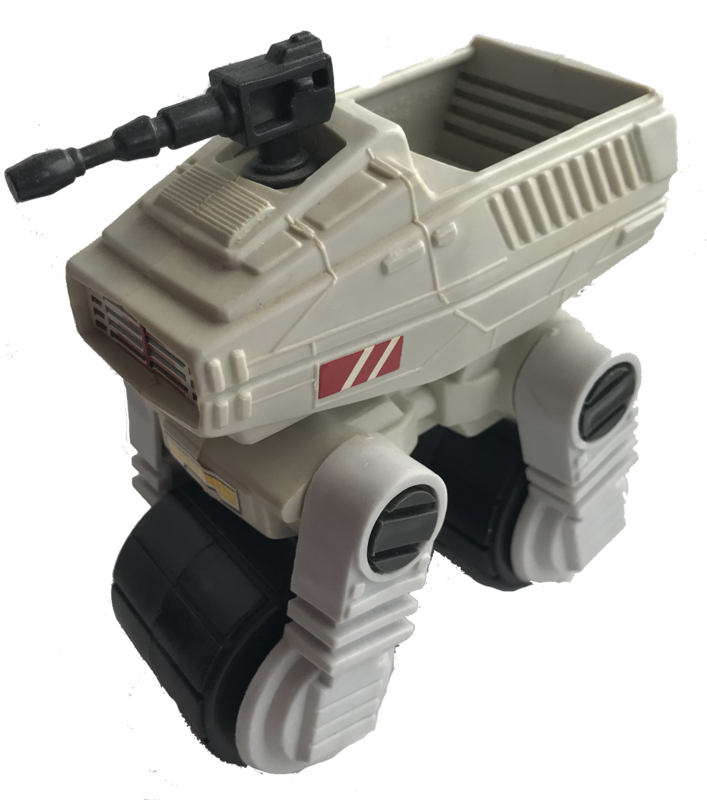 One of the first mini-rigs to be released in 1981 it was designed as a vehicle to fit into the Hoth landscape. This is very surprising as I find the spring loading feature and wide wheel base to be better suited to a rocky landscape. Saying that, the smooth wheels would have been awesome for sledging down the hills, conserving fuel in the process. 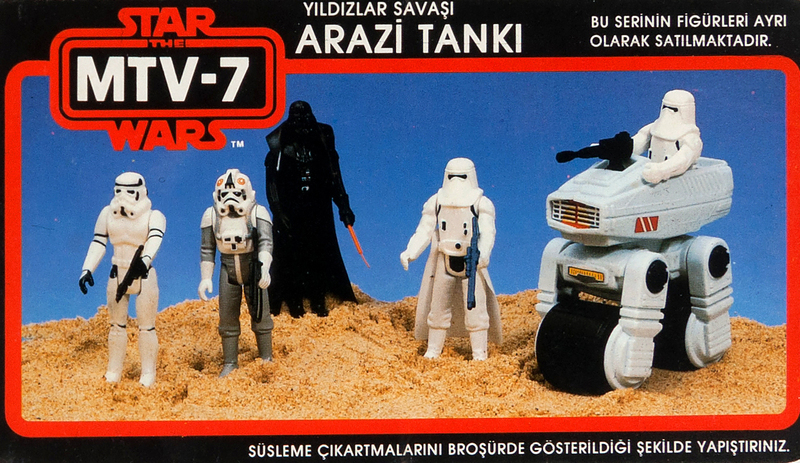 The MTV-7 was also released by Uzay referred to as Arazi Tanki and is very difficult to find in trilogo packaging. 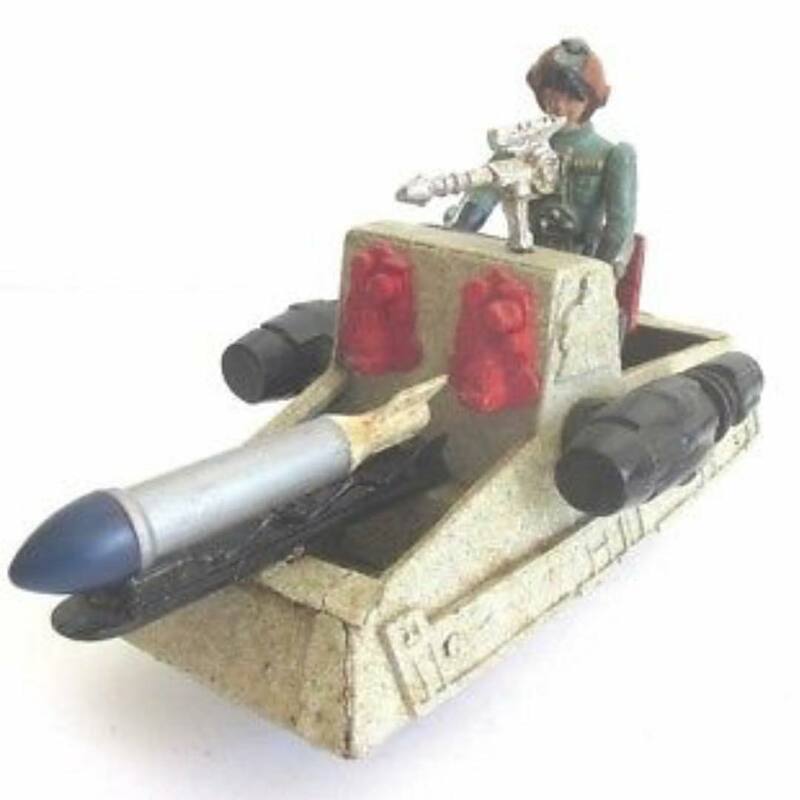 The PDT-8 (Personnel Deployment Transport 8) was rubbish. So you put figures in to take them straight out? 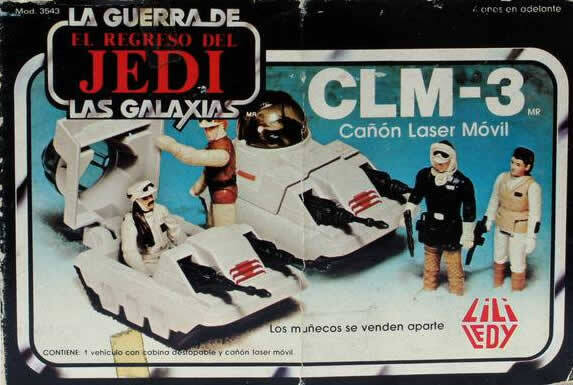 It was one of the earliest mini-rigs released in 1981 but it did not survive into the Return of the Jedi area. I can only assume that kids thought the same as me and wondered what on earth it was supposed to do? It had no covers so wasn’t exactly good at transporting anything taller than 2″ otherwise they’d topple out. 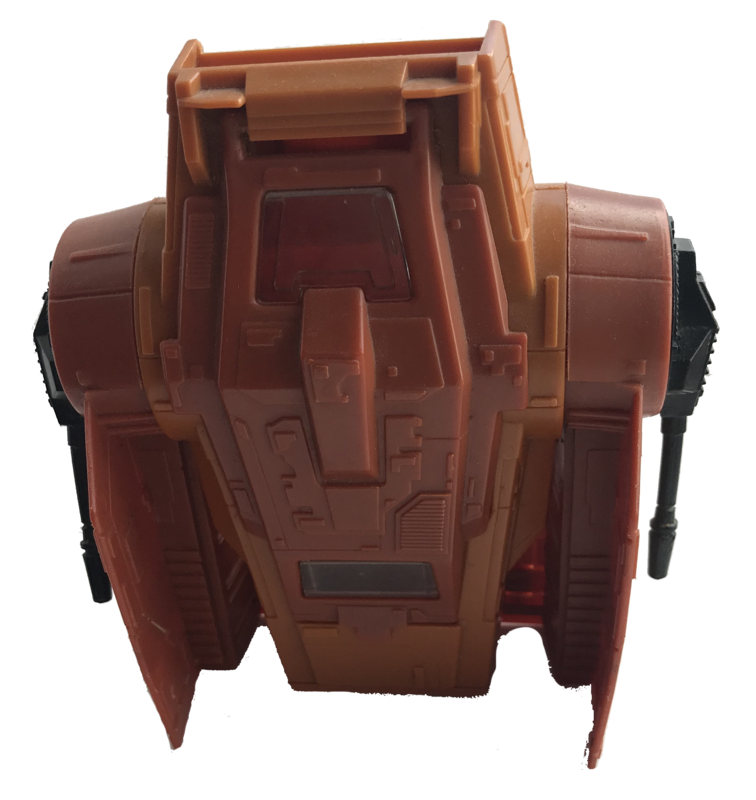 According to theswca the early sketches suggested that this was to be a droids transporter which makes some sense. As well as the regular releases, it was also released by Kenner as a special offer stickered version featuring a free 2-1B action figure and a special offer $1 rebate offer stickered version. There is an almost impossible to find Spanish release (PBP) which I’ve never seen publicly available for sale. I’ve always found this vehicle to be the most difficult to track down loose or boxed and this could be due to the early cancellation of the product. 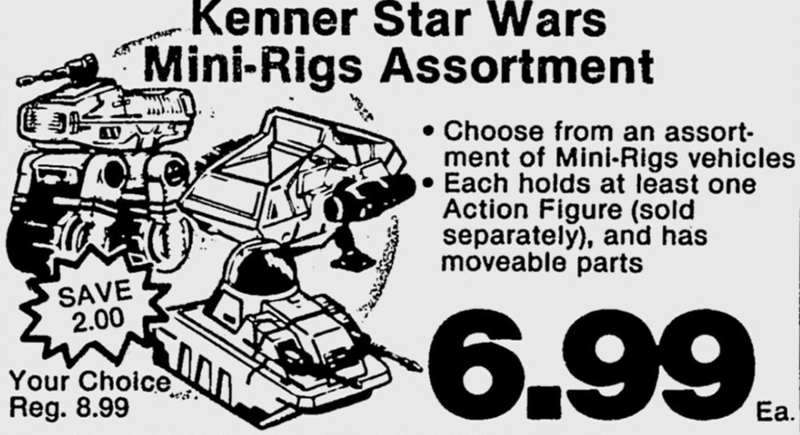 Abandoning the number sequence in 1984, Kenner released a true Tatooine themed mini-rig. Many kids would have used this as the sail skiff which was released later and at a higher price point. It even had a ramp at the front for Luke to jump from! There was a lot going on in this small vehicle that made it far more playable than some of the earlier releases. 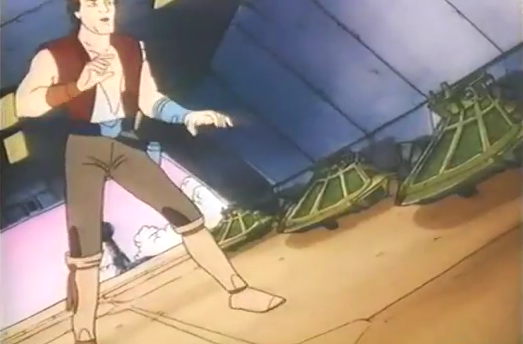 The body design clearly inspired Nelvana when designing the Droids and Ewoks cartoons. Hate it, hate it, hate it. Yes it was green and looked armoured but still to this day I have no idea what it is or what it does. So envisioning the large circular cockpit as being some kind of wheel similar to General Grievous’ bike in Revenge of the Sith, why does it rotate and right itself, similar to the B-Wing cockpit? In a dense forest could it work side-wards? Released in 1984 it was one of the last mini-rigs to be released and there is evidence to show that it was considered for a 1985 Power of the Force rebrand. 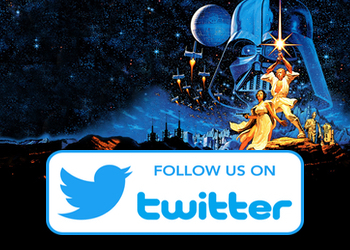 In 1985 Kenner rebranded the Star Wars toys under the Power of the Force name. The One-Man Sand Skimmer is one of three body rigs, also known as Single Body Transports, to continue the mini-rig theme. These vehicles maintained their $4.99 price point but were smaller and used less plastic that the earlier lines. They were available as carded toys in the States but in Europe they were boxed under the trilogo livery. Most of the carded toys have yellow bubbles which are often cracked due to the weight of the toy and the type of plastic used. 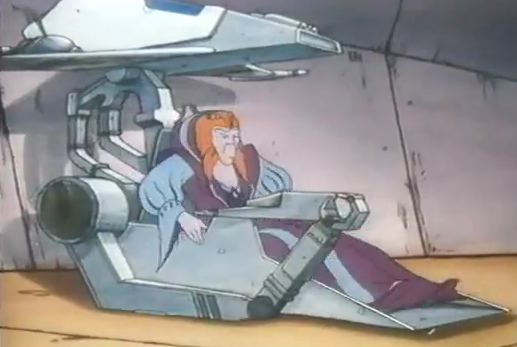 Two of the three body-rigs appeared in Nelvana’s Droids cartoon series. The One-Man Sand Skimmer is the easiest of the three body rigs to track down both loose and carded. 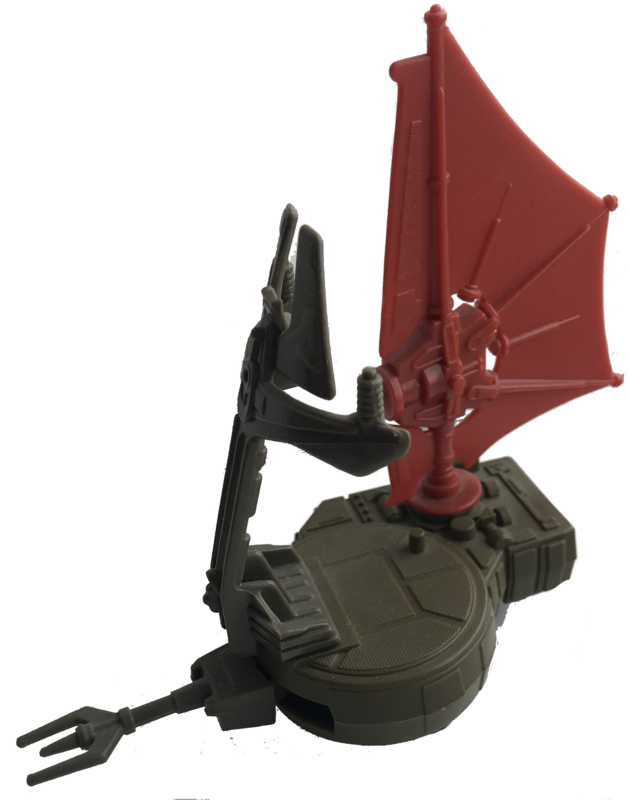 It is arguably the most “Star Wars” of the three as it fits in with the Sail Skiff and Desert Skimmer theme. I didn’t particularly like the trident at the front and it felt a bit too much MOTU for me. I would buy a working version of this toy right now. Although it’d be tough to think of Rebel Commandos, or Ewoks!, flying these things in the Battle of Endor I do have a soft spot for them. 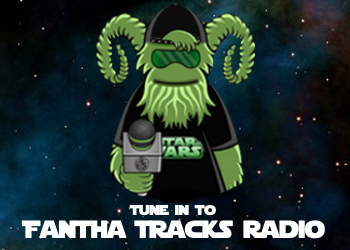 The colour scheme is great and it works with any of the Endor themed figures. 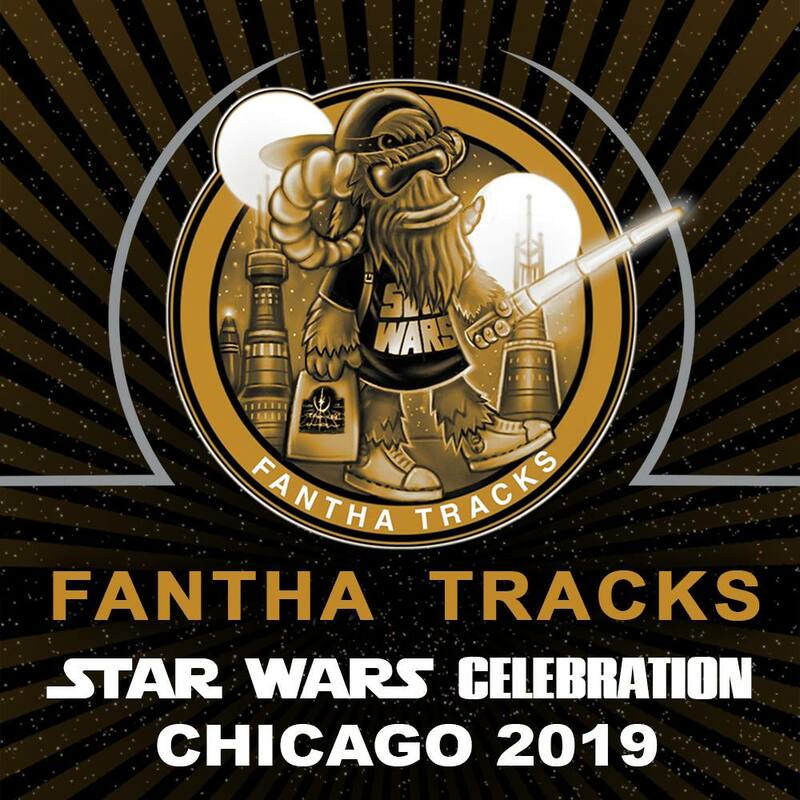 I can try and see this working in a speeder bike chase if I close my eyes and try really hard. The third of the body-rigs the Imperial Sniper was also released in 1985. This was the most difficult of the rigs for me to acquire and is difficult to find loose, carded or boxed. It has a very misleading title as it is clearly not as sniper. 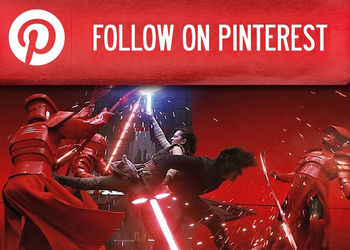 It is designed to fly fast, grab an action figure, and disappear from the area. This mini-rig is very similar to the one seen here pictured in the Nelvana Droids cartoon series by Mon Julpa. I’m not sure if it’s a good thing or not that I could name this character. As an R5-D4 focus collector, I am delighted by this image from the 1985 Toy Fair catalogue which features a fantastic illustration of the new body rigs. 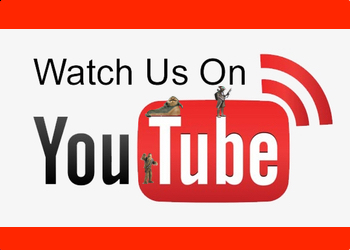 Now, I’m sure that many of you are decreeing the omission of the Vehicle Maintenance Energiser, the Radar Laser Canon and the Tripod Laser Canon. I do not consider these to be mini-rigs or belong with the group. I believe these to be accessories and I will cover them in a later article.